Healthy Vegetarian Stuffed Bell Peppers with quinoa, black beans, and delicious Tex-Mex seasoning. 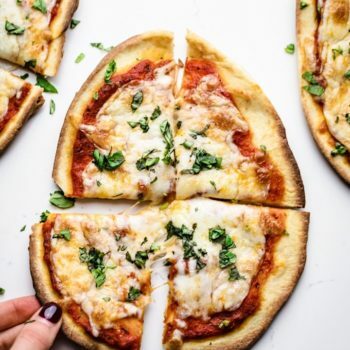 An easy recipe that has low carb ingredients, simple instructions, and only 30 minutes to make! 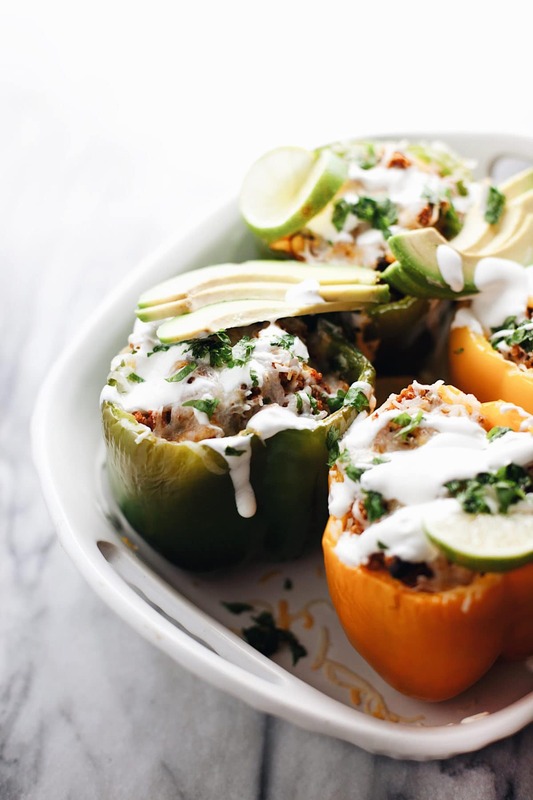 If you are a lover of easy, 30 minute meals – these delicious vegetarian stuffed bell peppers are for you. They are stuffed with quinoa, salsa, black beans, and yummy Tex-Mex seasoning. No fuss, no meat, and no bad ingredients. 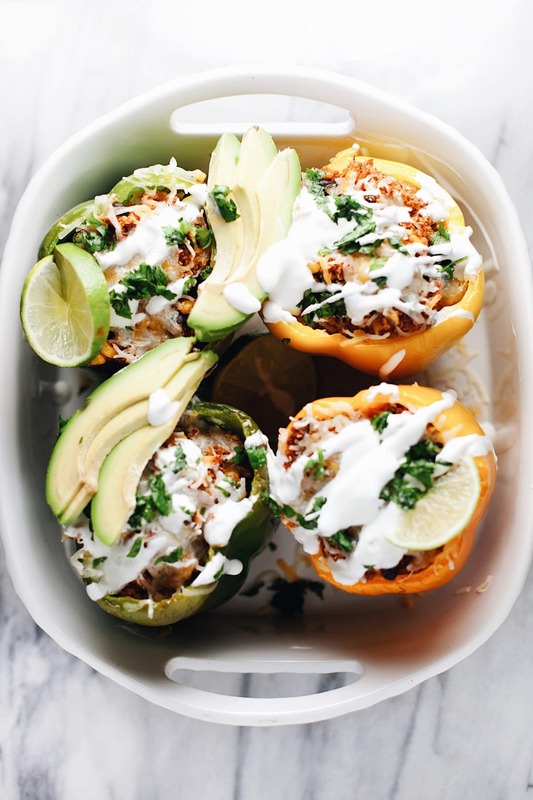 Stuffed peppers can either be Italian or Mexican flavors – grew up with an Italian version, but I love the Tex-Mex flavors just as much. 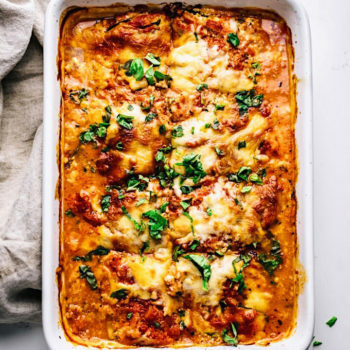 Whenever making a recipe vegetarian, it’s important to choose ingredients that can help make up for the protein that meat brings into the classic stuffed pepper recipe. For plant-based proteins I used black beans and quinoa – you can also do cooked chickpeas or lentils if you prefer. If you prefer rice in this recipe, you can swap the quinoa with either brown or white rice. Don’t like black beans? No problem. Swap for garbanzo beans, cannelini beans, or lentils. This is an easy meal prep recipe – seal stuffed peppers in containers and store in refrigerator. Can these stuffed peppers be frozen? Yes! Cool the cooked stuffed peppers before freezing. 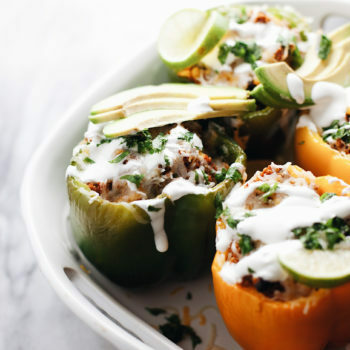 Place all of the stuffed peppers into a freezer-safe dish. … You can also freeze each pepper individually by cooling them, and placing them in ziplock bags. How long to stuffed peppers keep in the refrigerator? To maximize the shelf life of cooked peppers for safety and quality, refrigerate the peppers in shallow airtight containers or resealable plastic bags. Properly stored, cooked peppers will last for 3 to 5 days in the refrigerator. 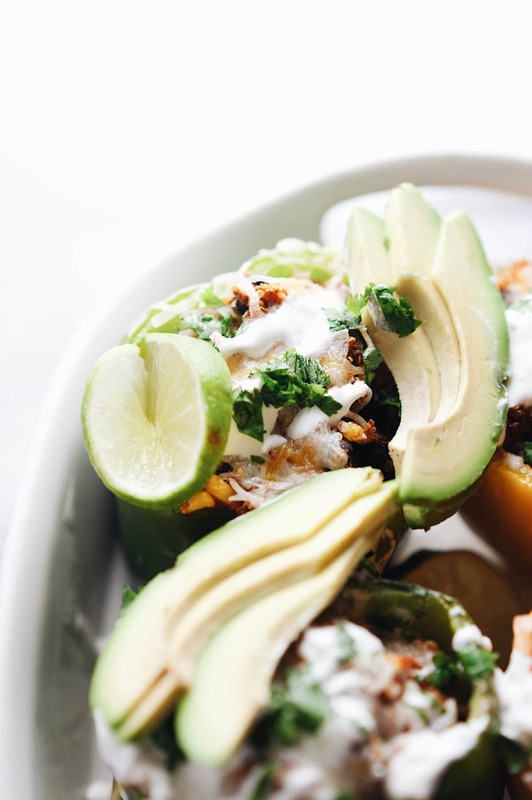 Healthy vegetarian stuffed peppers with quinoa, black beans, and delicious tex-mex seasoning. 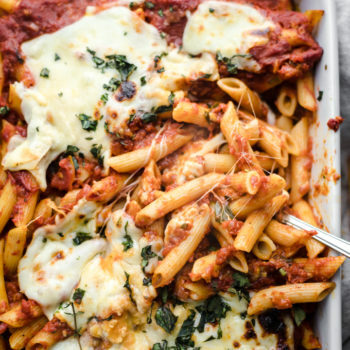 So easy and a quick 30 minute meal! Preheat oven to 350F. Lay peppers in baking dish. Use a rubber spatula to mix in bowl: quinoa, corn, black beans, 1/3 cup cheese, tex-mex seasoning, and salsa. Spoon mixture into center of peppers. Bake for 25 minutes. Remove peppers - sprinkle 1/3 cup cheese over top each pepper and bake for 1 additional minute for cheese to melt. Drizzle or dollop sour cream over peppers, sprinkle cilantro and lime juice on top. YUM! Don't like black beans? No problem. Swap for garbanzo beans, cannelini beans, or lentils. This is an easy meal prep recipe - seal stuffed peppers in containers and store in refrigerator. Looks gorgeous! The stuffing sounds super good and healthy as well, not a fan of peppers but would love to try this in a burrito!